Find out about the Mauritian student community at Southampton, entry requirements for our courses and other information specific to your country. If you do not have the traditional entry requirements for our undergraduate courses, you may be able to qualify by doing one of our foundation programmes first. To find out more, visit our foundation years page, contact one of our Mauritian representatives or contact the International Office team. You will need to be able to demonstrate the required level of English language proficiency. Mauritian students who have achieved a minimum grade C in English in the Cambridge Overseas Higher School Certificate (HSC) may be exempted from additional English language requirements. Find out more about our English language requirements and support. We are pleased to welcome students from Mauritius to the University each year. In 2016/17 we have 32 Mauritian students studying with us. Getting involved in clubs and societies is a great way to meet other students from your country and from around the world. There are many societies run by the University's Students' Union (SUSU) for different interests, religions, sports and academic groups. You may be interested in joining the Southampton Mauritian Society (Facebook log in required). 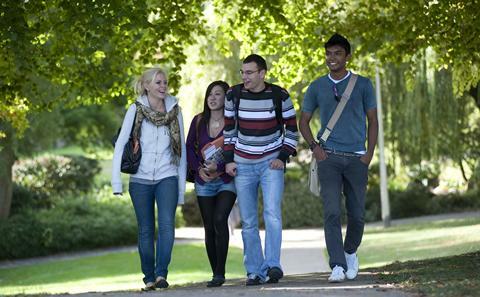 We welcomed 31 students from your country in 2013/14. I came to the University to study a BSc in Mathematics with Actuarial Studies, and when I finished I was given the fantastic chance to do a sponsored PhD in Mathematics. I am enjoying the opportunity to spend more time at the University.